Cause UK is delighted to be working once more with Harrogate International Festivals in 2016. The evaluation of our PR shows a record year for coverage. The Theakstons Old Peculier Crime Festival is now considered to be the best festival of its kind in the world. In 2015, our coverage ensured there were almost 13 million opportunities to read about it! National print coverage included multiple features in the Guardian, Telegraph, Daily Mail, Independent, The Times, Sunday Times, The Spectator, The Radio Times, The Big Issue and The Bookseller. The advertising value equivalent of print coverage alone was estimated at £2.7m. Broadcast included BBC Radio 4, BBC Breakfast, and BBC radio stations nationwide. Regional coverage covered from Yorkshire to BBC Guernsey! 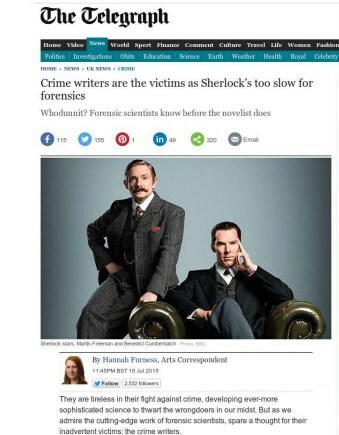 565 articles appeared online, and we worked with Times Plus to offer exclusive features, and continued the media partnership with The Radio Times. 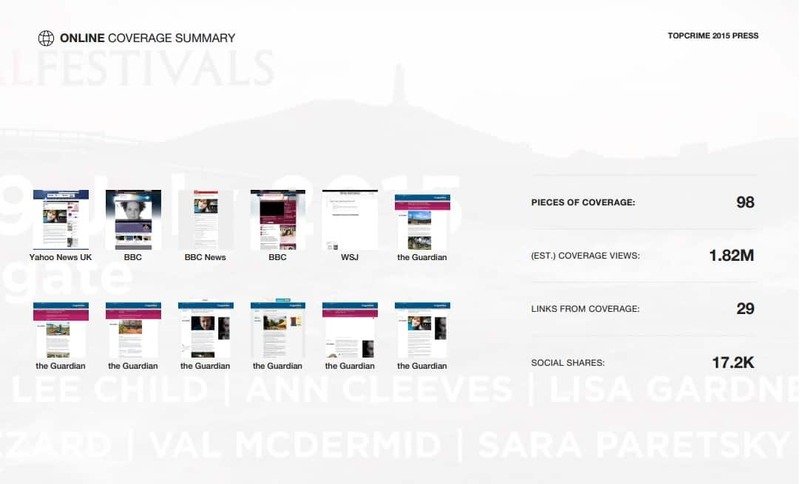 Cause UK also generated coverage for the Raworths Harrogate Literature Festival, delivering over £1m worth of print media alone, with exclusive branding mentions for title sponsor, Raworths; 55 features appeared in print, with many authors featuring on BBC radio. It was also a record year for the Harrogate History Festival, with one of our stories going national in the Guardian and Daily Mirror. There was a remarkable 391% increase in press coverage over the last two years, alongside 88 blogs and websites.